Brassicas and other tasty greens. As long ago as the stone ages cabbages and leafy pot herbs such as spinach and Swiss chard have been cultivated in Europe. They were among the first vegetables ever, to be cultivated. As well as being edible these plants can be very attractive which is why they have enjoyed a resurgence in popularity recently reviving the tradition of growing vegetables among the garden flowers. 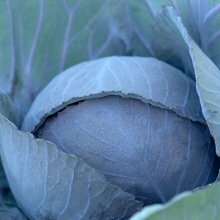 What to do with a headless cabbage: The head of a cabbage is formed from layers of leaves folded over each other and in effect is a large bud. 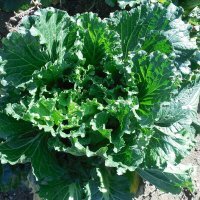 When a cabbage fails to make a head or to heart up rather than leaving it to become tough and inedible, use the foliage as spring greens. When seedlings have not formed proper growing points, it is better to replace with healthy, strong-growing seedlings that will heart up and produce a really nice head. The individual plastic cells are ideal for plants to develop a strong and compact root system so that, when they are transplated, there is minimum root disturbance and they get off to a good start. This means that they can often be harvested earlier than nonmodular transplants. Growing your own strong plants from seed will also help avoid bringing diseases into the vegetable garden. 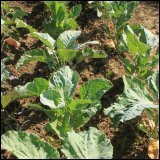 Use Modules or seed beds: To prevent their growth being checked, Cabbages need to be transplanted very carefully. Modules: Seeds should be sown in modular trays and then transplanted when they have developed really strong root systems. Then it is best if you harden them off by placing them in garden cold frames before you plant them out. When grown in modules, cabbages should have well developed root systems and should continue to grow on well. and transplanted into their growing site, where they have more space to develop. 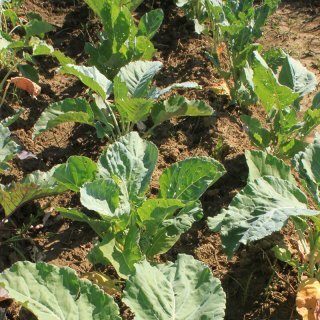 Extra seedlings: When sowing your cabbage seeds, sow a few extra so you can remove one or two before they mature so you can use their leaves as spring greens. Planting out: When transplanting your seedling, plant them to the same depth they were when in the seed bed or modular tray. Soak the roots of each plant in a mixture of soil and water before you plant them. Once they are growing well draw soil up around the base of each plant, to earth them up, stabilizing the young plants as well as encouraging the development of roots from their stems. Cabbage root fly: Around the stem of each seedling wrap a piece of carpet or cardboard as a physical barrier to discourage cabbage root fly.